Product #354 | SKU 2-057-0002 | 0.0 (no ratings yet) Thanks for your rating! 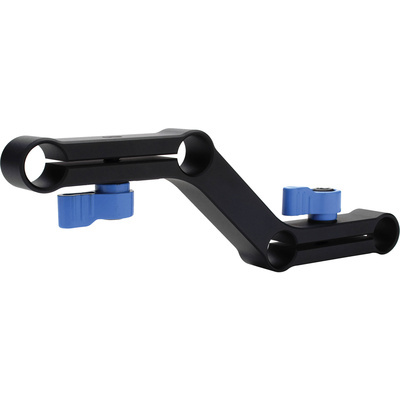 The Redrock Micro microLink4 Riser is designed for use with 15 mm rod/rail support rigs such as the microShoulderMount or eyeSpy DSLR rig. It allows four 15 mm rods to be connected parallel to each other at standard 60 mm spacing, on two different levels. This is useful when needing to reposition the camera so that the viewfinder is level with your eye. The microLink's high end is ideal for aligning DSLR cameras using LCD viewfinders, while the low end will position a camcorder's viewfinder for optimal use.